Taoiseach Leo Varadkar, Minister for Sport Shane Ross, rugby legend Brian O'Driscoll and women's rugby captain Niamh Briggs will deliver Ireland's bid presentation to the World Rugby Council in London today. France and South Africa will also make their bid presentations today as the race to host the 2023 Rugby World Cup enters the final stages. Speaking on Newstalk Breakfast, Minister Ross claimed that Ireland will not use security fears surrounding their rivals to their advantage but believes the World Rugby Council will take Ireland's advantage in the area into account. France has been targeted by numerous terror attacks in recent years while South Africa has issues with guaranteeing the security of visitors to their country. "It's not something we want to overplay because it's fragile and sensitive," he said. "We have a wonderful safety record and others perhaps don't offer quite the same record. "We're offering political stability and we're offering an infrastructure and tourist welcome which is certainly equal to the others. "We don't want to overplay the safety business but it is quite obvious that our record in that is second to none and it's something that they will no doubt take into consideration when they look at our World Cup bid today." 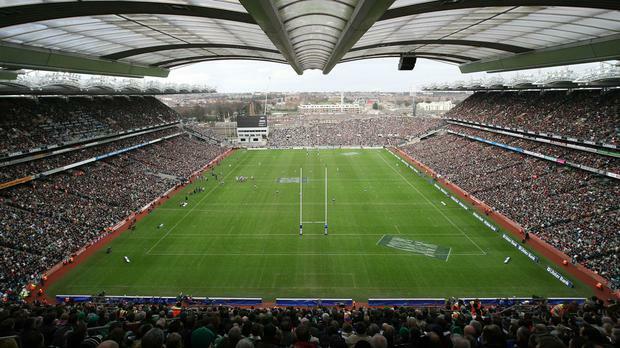 Ireland have shortened to 4/11 favourites to be given the job of hosting rugby's showpiece event when the winning bid is announced and Minister Ross feels that the favouritism is down to the work that has gone in to the bid. "We are favourites because of the extraordinary effort we have put into it," he added. "We have everything in shape, I don't think there is any flaw in our presentation." Asked what are advantages are, he said: "We've got some really serious advantages here. We are a fresh bidder and that has its advantages for World Rugby. The advantage is that it will open the gates for a lot of other bidders in the future and will make rugby a much more popular sport around the world. "It's a bid which is backed by both governments north and south, which is fairly unique. Rugby is an all-island game and that is really important to us and important to them. "I think they will see us a very safe country to operate in. "We've got the stadia. We've got 12 stadia on the long list and that probably will be wittled down to around eight. We have the infrastructure and we've put up the financial package, not only has the government guaranteed the money, €320m. "I put it in legislation in May, to underwrite it, so it's bulletproof."